Since his debut as a member of the boy band 2PM over five years ago, Ok Taec-yeon has quickly cemented a career as a singing-acting double threat, starring opposite high-profile actresses like Moon Geun-young and Kim Tae-hee in various dramas. Now, the 25-year-old star is slated to play a tough-fisted bodyguard in KBS’ new weekend series “Wonderful Days,” where he will be rubbing shoulders with actress Kim Hee-seon and actor Lee Seo-jin. In the upcoming drama, Ok plays Kang Dong-hee, younger brother of Lee’s Dong-seok. Quick-tempered and swift-fisted, Dong-hee is kicked out of high school for getting into a brawl in an attempt to protect his classmate Seo Jeong-ah, who comes to him three months later to tell him she is pregnant. 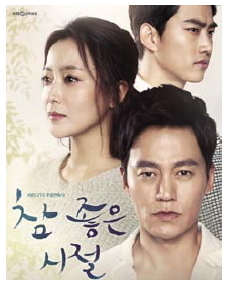 Fifteen years later, Dong-hee finds himself living with Seo’s twins, who are being raised as his siblings, while scraping together a living as a bodyguard in the same company as his older brother’s first love, Cha Hae-won, who will be played by Kim Hee-seon. It is at this juncture that his older brother returns home and the real drama begins in what promises to be a warm-hearted family series. As for Ok, who most recently played a rookie police officer in tvN’s ghost mystery “Who Are You,” this could represent his most challenging role to date. In the upcoming series, Ok must pull off the role of a troubled man with a boatload of family issues, including being the possible father of two kids. However, at the drama’s press conference in Seoul on Tuesday, Ok looked ready to take it all in his stride. “Wonderful Days” starts airing on KBS 2 TV on Saturdays and Sundays at 7:55 p.m. on Feb. 22.